CrossCraze is a fun, modern twist on the classic word-building game, designed for players who prefer the challenge of an offline computer opponent. Featuring stunning HD graphics and unparalleled gameplay options, CrossCraze will take your word play to another level. 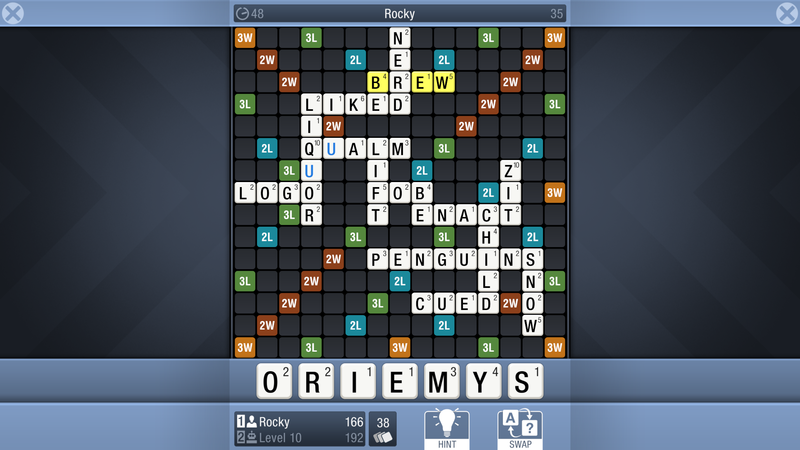 Choose from two game modes: 'Classic', where new letters must link to existing words (e.g. change RABBLE to the verb SCRABBLE); and 'Tile Stacking', where new tiles can also be dropped over old ones (e.g. SCRABBLE becomes SCRAMBLE). Features 28 board layouts, 12 board designs, 10 computer skill levels and support for 9 languages (US or International English, French, German, Spanish, Italian, Swedish, Dutch, Danish and Norwegian). Minimum requirements: Windows desktop system or Android phone/tablet. The trial version of CrossCraze can be freely distributed over the internet (run installation program to view full terms and conditions). Run installation program to view full terms and conditions.